Paying homage to the classic Western, director Jacques Audiard tells the story of Eli (Reilly) and Charlie (Phoenix) Sisters, a couple of fraternal assassins in the Old West underworld of the 1850s. The pair are travelling from Oregon to California to find a chemist (Riz Ahmed) who has developed a substance that makes gold easy to spot on the riverbed. Their mission is to finish him off, having extracted the formula first. 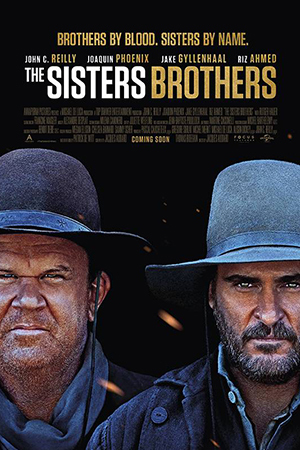 Often hilariously ribald, with its share of blood, guts, saloons and shootouts, The Sisters Brothers will also surprise you with its tenderness. Based on the novel by Patrick deWitt.